Single Visit Endodontic treatment has been a debatable issue for a long time ago. Currently, it is considered a convenient method of treatment for both the dentist and the patient instead of two visit treatment method. Single Visit Endodontics can be done whether the tooth is Vital, Necrotic* or even Retreatment cases* (*in some cases), as long as the mentioned above conditions in step 2 are achieved. Single Visit Endodontics should be done if the patient is cooperative knowing that the procedure will take about 45-60 minutes to avoid muscle fatigue. If there is a sinus tract related to the tooth to be treated, you can still finish your RCT in Single Visit. If a flare-up occurs after your Single Visit RCT, that’s a normal outcome and doesn’t necessarily have to occur but it might happen, as that’s the human body’s immune system normal reaction. 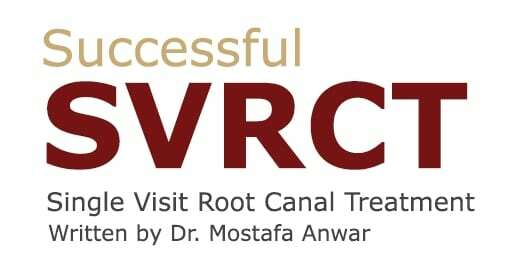 If you are sure of the quality of the single visit root canal treatment than do not do a retreatment. Flare-ups of Single Visit Endodontics is more convenient than two visits, where the patient suffers less pain incidence and less procedural errors. Sodium Hypochlorite is still the Golden standard irrigant, even though there are a lot of irrigants in the market. Sodium Hypochlorite can use it in vital or necrotic cases. 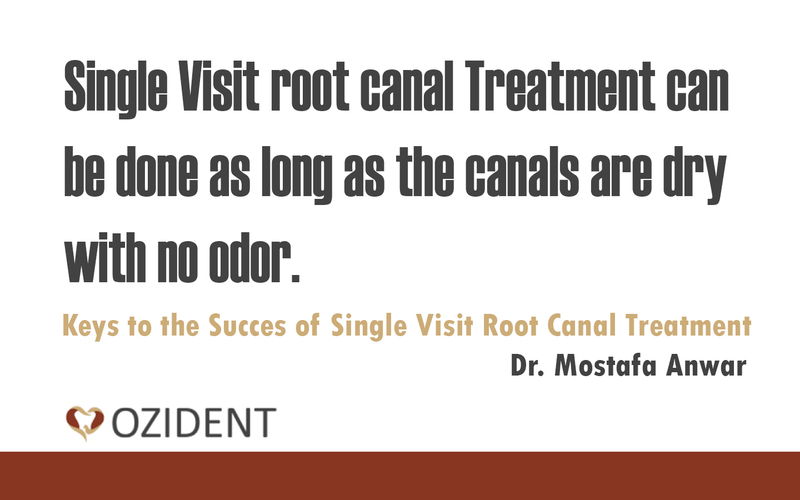 Single Visit Endodontics is achievable in most of the cases, as we only care about what we take out of the canal (Bacteria) than what we put in as a restoration(obturation). 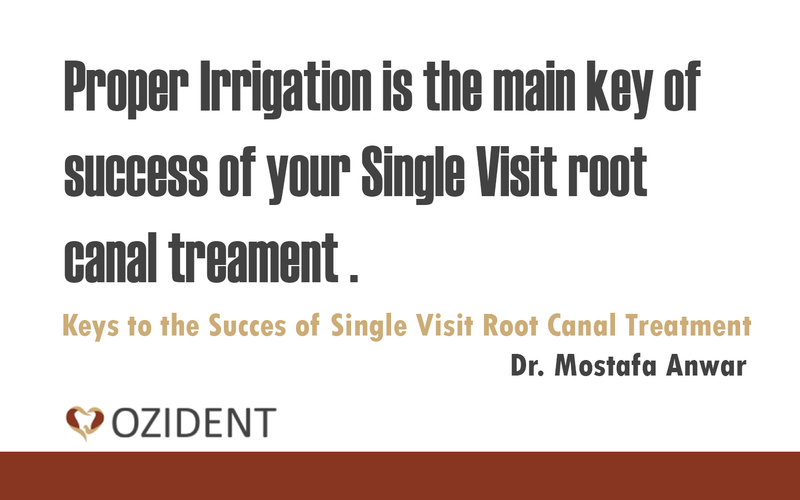 That’s why Irrigation is your key to successful RCT. 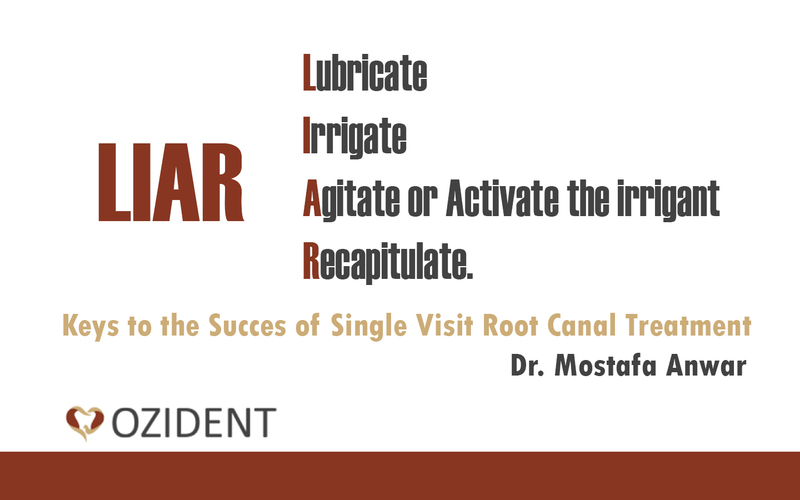 Lubricate –> Irrigate –> Agitate or Activate the irrigant –>Recapitulate. And remember Metal Doesn’t Kill Bacteria! Edited by Dr. Mohsen Said Mohamed.